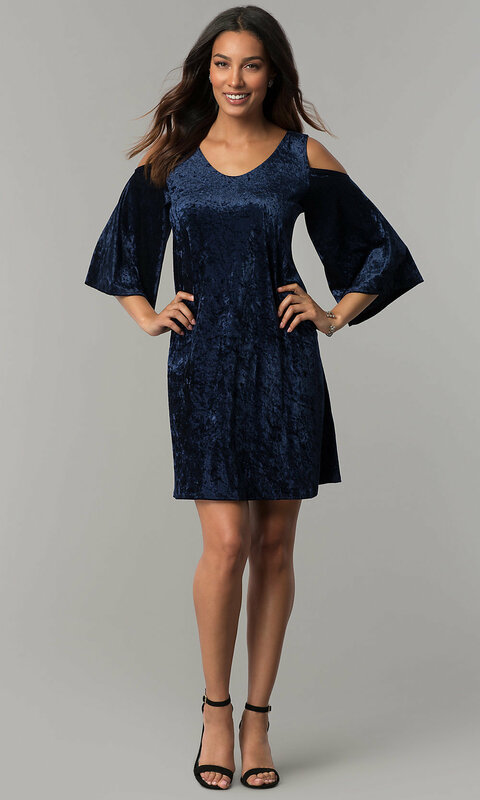 Looking for the ideal trendy party dress for your next semi-formal event? Look no further than this affordable Tiana B navy blue dress for under $100. 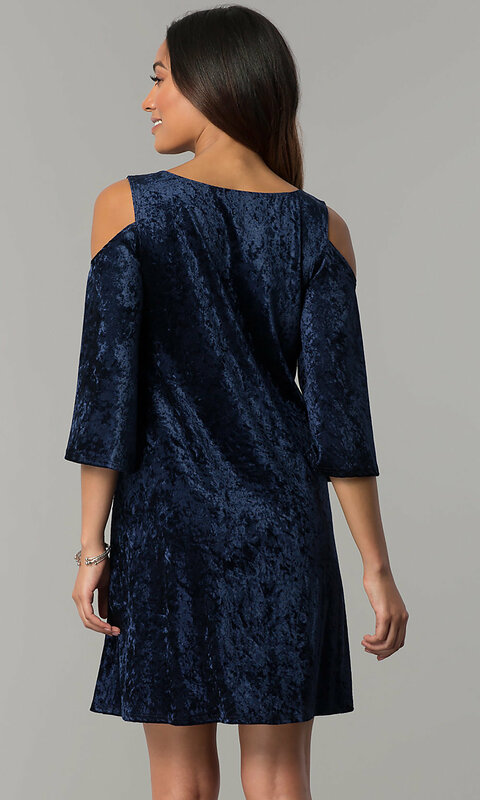 This short shift party dress is crafted from the fabric of the moment, velvet! 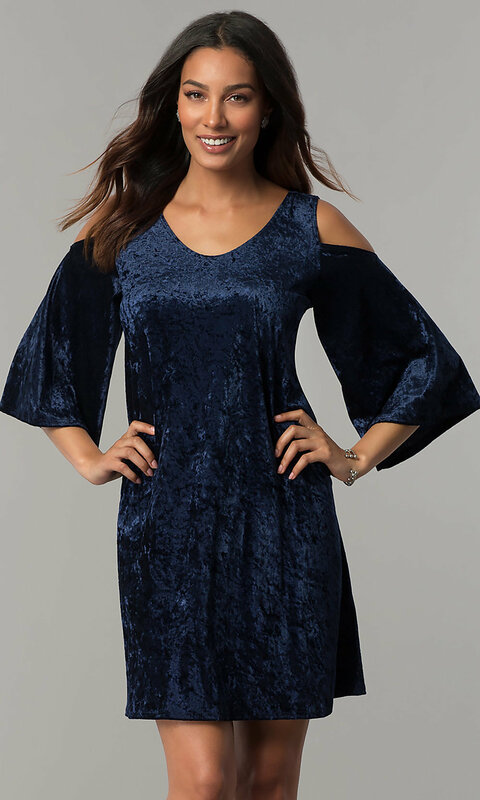 Staying on trend, this scoop-neck dress has cold-shoulder cut outs and three-quarter-length bell sleeves. 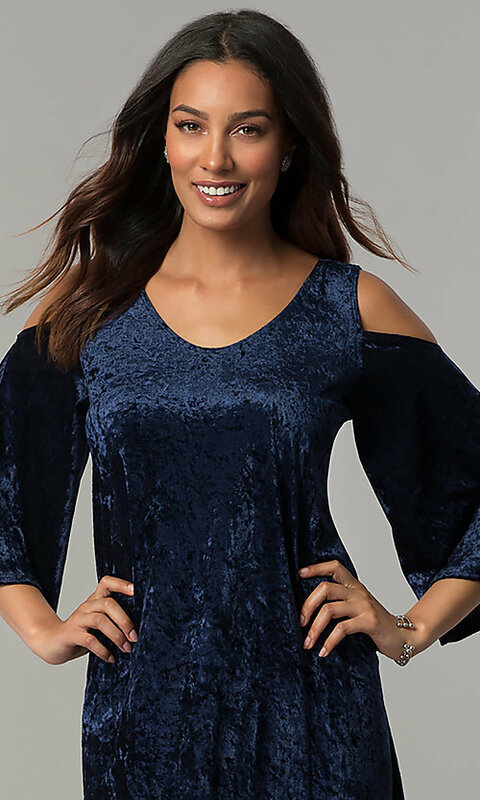 Show that you know the trends this season in this adorable affordable designer velvet party dress.